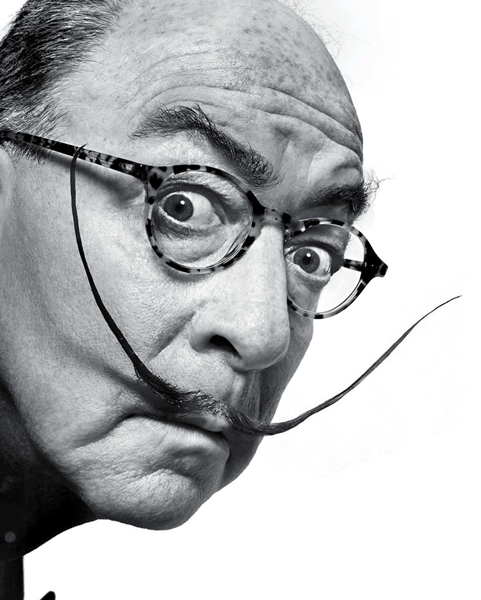 Jerry Saltz, "New York" magazine art critic, as Salvador Dalí, based on a photograph by Philippe Halsman. Photo: Photo by Marvin Orellana. Photo Illustration by Joe Darrow. "How to Be an Artist" by art critic and SAIC alum Jerry Saltz (SAIC 1970–75, HON 2008) is the cover story of the latest issue of New York magazine. In the article, which also appeared online at Vulture, Saltz outlines four steps to being an artist each with its own set of lessons. In Step One: You Are a Total Amateur, Saltz advises artists to "Forget about making things that are understood." In lesson 10 of Step Two: How to Actually Begin, he notes that artists must find their own voice. One of the most crucial rules he claims in lesson 16 is learning the difference between subject matter and content. "When you look at art, make subject matter the first thing you see—and then stop seeing it," he says. In Step Four: Enter the Art World, Saltz notes the importance of writing for artists, reminding artists, "Don’t use art jargon; write in your own voice, write how you talk. Don’t try to write smart." And lastly in lesson 25 of Step Five: Survive the Art World, Saltz asserts that artists must learn to deal with rejection and "be open to critique but also develop an elephant skin." Read the rest of Saltz's 33 Rules for Being an Artist here.